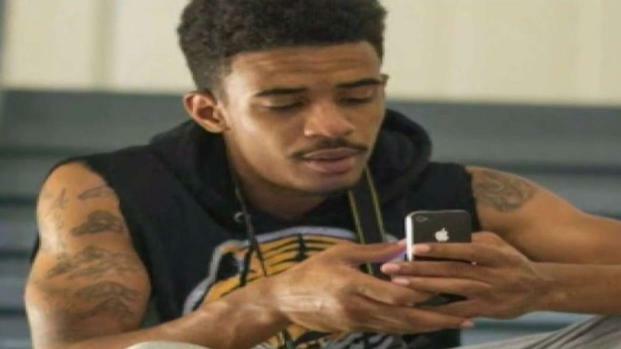 The family of 22-year-old Marty McMillan Jr., of Landover, Maryland, reported him missing in April 2017; his remains were found six months later. Police have said he was shot to death in the home of an apparent stranger in Washington, D.C. The victim told his family he was going out with a woman he met on the dating website Plenty of Fish. His remains were found in a wooded area of Prince George's County six months later. 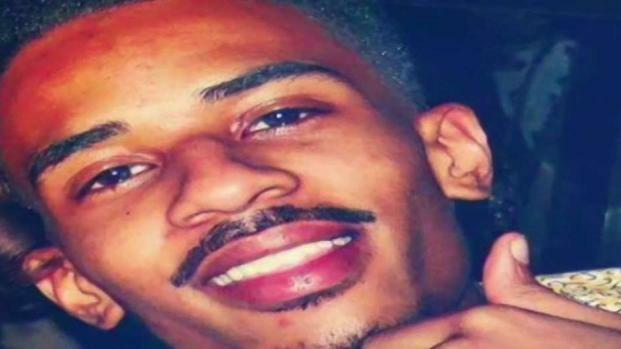 A woman has been arrested in connection with the death of Marty McMillan Jr., the 22-year-old D.C. man who disappeared after meeting her on a dating website. Shaniah Davis, 21, was arrested Monday and made her first court appearance that day, pleading not guilty to one count of accessory after the fact to a murder. The next day, a grand jury returned a three-count indictment, addtion two additional accessory after the fact charges. She was released Monday on personal recognizance. She is scheduled to appear for an arraignment on Oct. 16. Police initially booked Davis on a second-degree murder charge, but that was later changed. Nearly a year after 22-year-old Marty McMillan went on an internet date and disappeared, a man has been charged with killing him. News4's Mark Segraves reports. McMillan was last seen on April 22, 2017 on the 2900 block of M Street SE. He told his family he was going out with a woman he met on the dating website Plenty of Fish. Police believe McMillan saw three people the day he was killed: Davis; her live-in boyfriend, John McRae; and their friend, Rayshawn Wallace, who lived next door. McRae was arrested in April and charged with second-degree murder while armed. Those charges have been changed to first-degree murder while armed, unlawful possession of a firearm and possession of a firearm during a crime of violence. Wallace was arrested last October on weapons charges, but he has not been charged in McMillan's death. According to court documents, McRae told detectives his girlfriend was known to set up people for robberies. Davis told police McMillan had come to her apartment early the morning of April 23, 2017, and that McRae shot him there. McRae and his brother then dumped McMillan's body near a highway, court documents say. According to the indictment, Davis helped McRae "by hiding and destroying and cleaning the crime scene" and "by lying to law enforcement." Who killed Marty McMillan? News4's Mark Segraves reports on new clues police have after the disappearance and death of the 22-year-old. McMillan's remains were found in a wooded area of Prince George's County six months later. Police examined evidence including cellphone records, fingerprints found in McMillan's car, the records of a court-ordered GPS monitor and a bed sheet found by a cadaver-sniffing dog. Messages McMillan exchanged with Davis provided other clues. 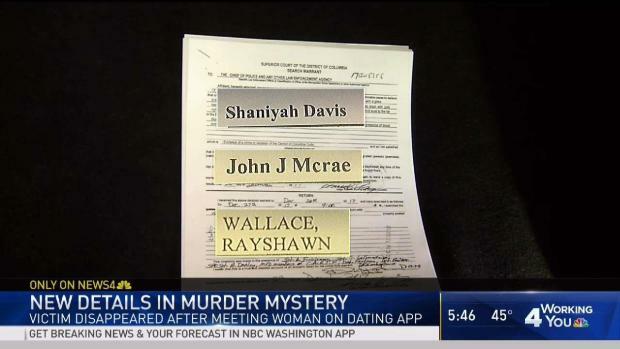 Cellphone records show McMillan exchanged messages with someone using a phone registered to Davis. When McMillan vanished, he had just started a new job as an electrician, and his grandmother had just bought him a 2003 Volkswagen Passat. After McRae's arrest, McMillan's grandmother, Forlesia Cook, said the charges brought her some comfort. "It brings to us more closure. We thank God for it. We think we may get justice," she said. "It doesn't bring him back. Nothing can." A family wants justice after a D.C. man was found murdered months after he disappeared. Mark Segraves reports there are new clues in the investigation and surprising details about the man's final hours.